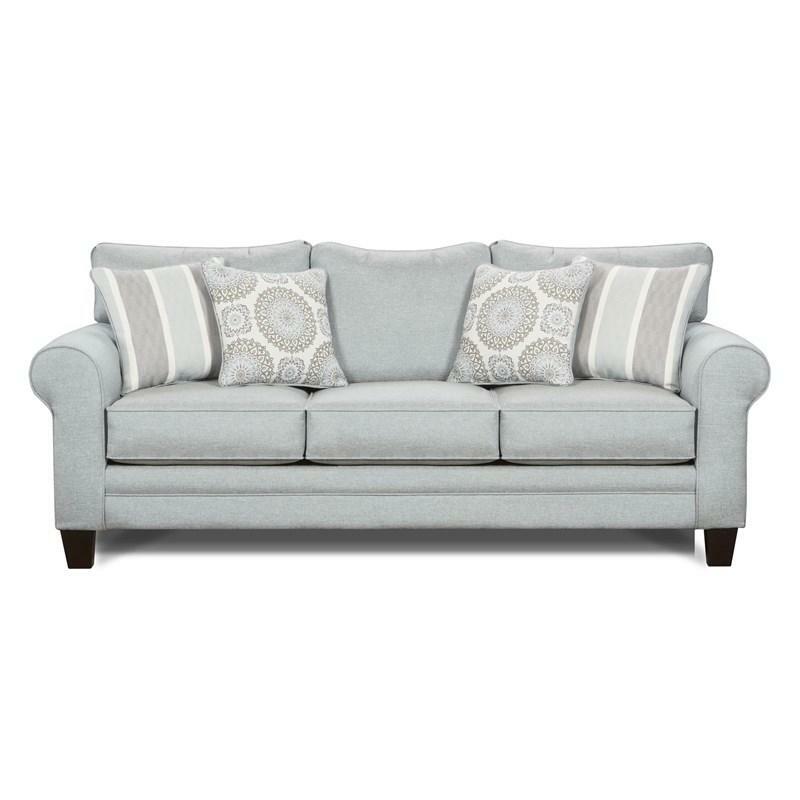 This 1140 Collection in Grande Mist by Fusion Furniture will make a stylish addition to any living room. 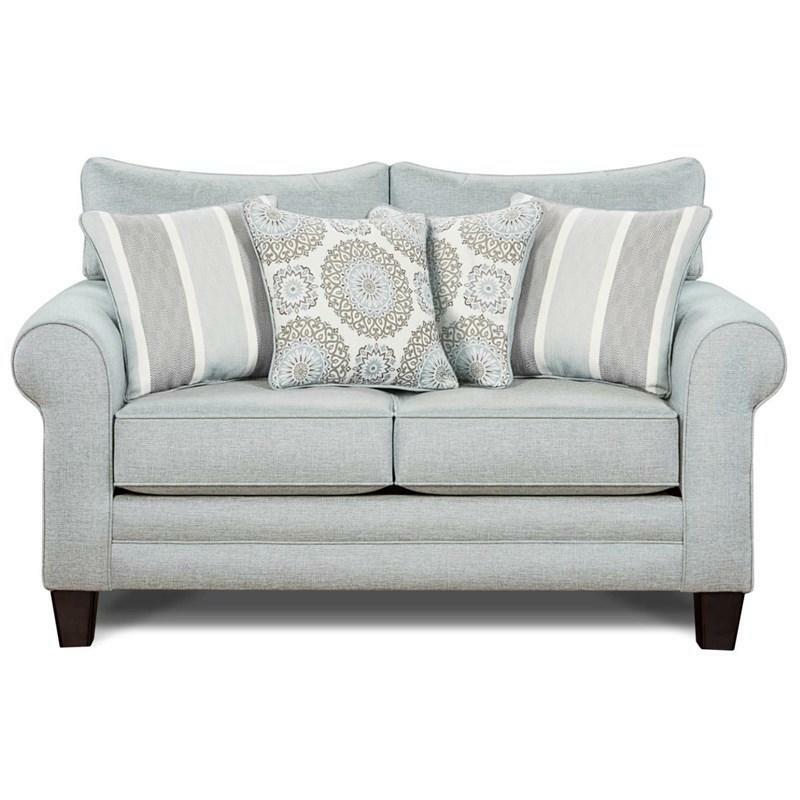 Its beautiful accent chair and sofa feature a modern style with sock and tapered arms and legs in espresso finish combined with expressive colours in accents pillows and loveseat. This collection for sure will bring happiness to your home. 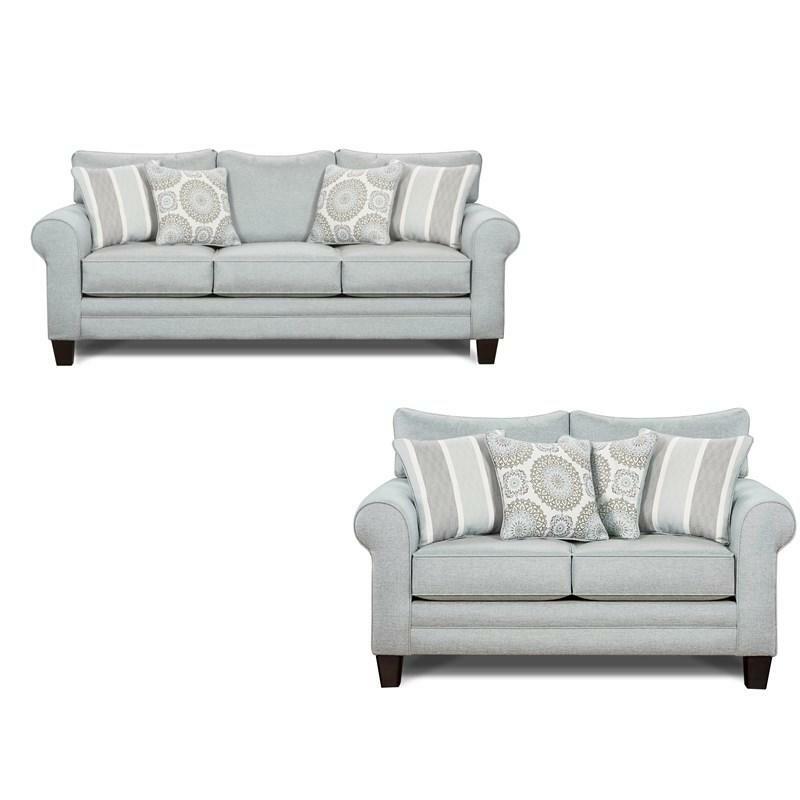 This set includes a sofa and a loveseat.